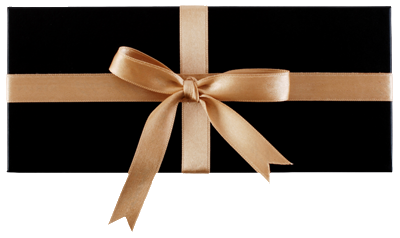 The George Hotel of Stamford exclusive Gift Cards are now available to purchase securely online. Personalise your gift card, add a message, preview and send it instantly by eMail, SMS Text or 1st Class Post. A £1 handling fee is applied to gift cards sent by email or SMS text to register your voucher with a 2D QR Security Code. If we send emails where a mailbox is full, a server is down or firewalls are present, the email may be delayed or may not be delivered. Personalised Prints & Luxury Gift Boxes are packaged & posted same day if ordered by 12 noon Monday to Friday (excluding bank holidays). Printing, Postage & Packaging charges will apply. Please note that gift envelopes will be sealed, you can view your voucher using the link emailed to you at time of purchase. All gifts are sent 1st Class Post or International Airmail. Royal Mail aims to deliver the next working day, however delivery can take 2-5 working days during busy periods. Monetary Gift Cards can be redeemed against any services provided by The George of Stamford. Please note the minimum value is £20, with incremental increases of £10 e.g. your value amount could be £20, £30, £40 etc. Enjoy our Walk In Lunch Menu in our Oak Panelled Restaurant. Choose a main course with dessert or cheese (Monday - Saturday, excluding December). and a pot of tea or coffee. our selection of cakes and a pot of tea or coffee. 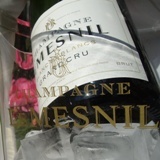 A chilled bottle of Champagne Le Mesnil, Grand Cru, served with lunch, dinner or placed in your room ready for arrival. This gift card is for two people to enjoy and includes a half bottle of Champagne, dinner in the oak panelled Restaurant(choose freely from our à la carte menu), one nights accommodation, full English breakfast, early morning tea and a choice of the Times or Daily Mail newspaper. Redeemable at any time of the year but will be subject to availability and is not available to be taken on a Saturday night. If you have a query or special request please call 01780 750750.